Want to make your job less demanding? One of the best ways to go about doing that is to prevent making mistakes during working hours. 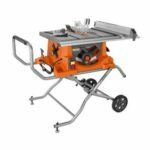 When it comes to construction work, this usually involves upgrading your equipment. Using cross line lasers has many benefits, including improved accuracy and simplicity of use. This alone is enough to make a big difference in the way you do your job. And if you want only the best, consider giving DeWalt a chance. What follows is a review of one of their best priced cross line lasers – the DW088K model! 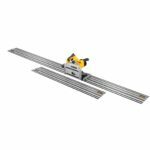 What are the benefits to using DeWalt DW088K cross line laser? It’s compact and lightweight. Since it’s only 9.5 inches high and 9.2 inches long, this useful piece of gear won’t be in your way. Its compact design allows you to store it almost anywhere. To make it even better, it weighs a single pound. You’ll be able to carry it with you to and from work without even noticing it’s there. It even has its own hard-sided box you can use for transportation. Since it’s tough, you won’t have to worry about damaging it. It’s highly accurate. The main purpose of a cross line laser is to make you more precise. The DW088K model boasts a high level of accuracy. It’s measured to 1/8 of an inch at lengths of up to 30 feet. One of its biggest advantages is that it’s a self-leveling tool. This means there’ll be no need for you to make any adjustments to the lines it projects. Apart from all this, it has an impressive range as well. If you use it with a detector, you’ll be able to see the lines at a distance of up to 165 feet. It boasts a durable design. If you’re a construction worker, you’ll need your equipment to last. Fortunately for you, the DW088K is a tough piece of gear. It features over-molded housing, which makes the whole thing a lot more resistant to damage. It also comes with its own hard-sided box. Apart from making transportation easier, the box does a good job at protecting the contents. To make it even better, with this cross line laser you get a 3-year limited warranty. It’s very easy to use. If ease of use is of any importance to you, you’ll be glad you’ve given this laser a chance. Apart from being lightweight and self-leveling, it has many other advantages as well. One of the sides is equipped with a control panel. This, in turn, features individual buttons for operating the beams. As a result, you’ll only need to press a couple of buttons to get everything in place. It also has a magnetic pivoting base and corresponding thread. Thanks to them, you’ll have no trouble mounting the laser on various metal surfaces. It comes with all the essentials. The DW088K kit includes the cross line laser, an acoustic ceiling mount, a kit box and operating instructions. It even comes with the batteries, which means you’ll be able to use it out of the box. It’s appropriate for a wide range of tasks. It doesn’t matter whether you’re an amateur or a professional – the DW088K is the ideal tool for a lot of jobs. With it, you’ll be able to map wall layouts with a high level of precision. You also won’t have trouble installing both wall and floor tiles. In fact, this cross line laser should come in handy whenever you’re in need of improved accuracy. Looking for the best deal on this laser? Check the current Amazon price to the right for the Dewalt DW088K. It’s actually a great priced laser for the quality. 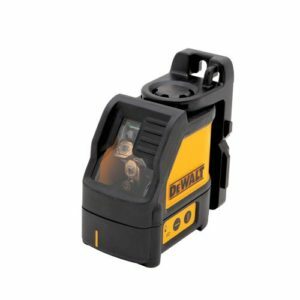 What are the downsides to using DeWalt DW088K cross line laser? It can’t be used outdoors. When used indoors, this laser projects perfectly visible lines. Unfortunately, their visibility drops as soon as you take it outside. Many people report not being able to use the DW088K model for anything other than indoor jobs. Apart from this, though, there haven’t been any major complaints. To sum it up, DeWalt’s DW088K cross line laser is among the best of its kind. It’s not only lightweight and easy to use, but also highly accurate and incredibly tough. Since it comes with all the necessary equipment, you’ll be able to use it out of the box. For all those reasons, it’s ratings are consistently impressive as one of the best price line lasers available.